24 april 2011: The Nissan LEAF is the first electric vehicle to win the World Car of the Year Award. The all-electric LEAF beat out the two other finalists—the Audi A8 and BMW 5 Series. See also: De Full-Electric Nissan Leaf Zero-Emission: European Car of the Year 2011 – Green Car of the Year Award 2011: The Chevrolet Volt 2011 – Ferrari 458 Italia was declared the 2011 World Performance Car. 16-02-2010: The countdown has begun in preparation for the 2010 World Car Awards at the New York International Auto Show on Thursday, April 1, 2010. 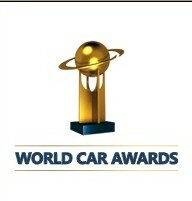 The 2010 World Green Car title holder will be declared at this time. The top three World Green Car finalists will be announced at the Geneva International Motor Show on Tuesday, March 2nd, 2010.